Norway will promote its innovations, technologies and the country’s ocean industries to a global audience of millions at the Expo 2020 Dubai. The country’s participation was confirmed in a letter from Norway’s Prime Minister, Erna Solberg, delivered by Jens Eikaas, Norway’s Ambassador to the UAE, to Reem Al Hashimy, UAE Minister of State for International Cooperation and Director General, Dubai Expo 2020 Bureau, said a statement. Last month, Abdullah Khalfan Al Romaithi, UAE Ambassador to Norway, met Roy Angelvik, Norway’s State Secretary for the Ministry of Trade, Industry and Fisheries and Jens Eikaas to discuss Norway’s participation at Expo 2020 and the further strengthening of bilateral relations, it said. Under the theme, ‘Pioneers of the ocean space’, Norway will use Expo 2020 to showcase its technology and innovations from a range of ocean industries including oil and gas, maritime and seafood, it added. Norway is also a leader in sustainable ocean resource management and research, with ocean industries accounting for about 70 per cent of the country’s total export revenues. The Organisation for Economic Co-operation and Development (OECD) estimates that ocean industries are likely to provide more than 40 million jobs by 2030, with the global ocean economy set to double in the same period due to strong growth in jobs, including offshore wind energy, fish processing, tourism, shipping and port operations. “Like the UAE, Norway is a country that understands the value of the world’s oceans and the need to protect them, so we are excited to see the ideas and innovations that they will bring to Expo, and the world, in 2020,” she said. Norway’s participation in Expo 2020 will be supported by the Norwegian business sector and the state, with the country last participating in a World Expo at Expo 2010 Shanghai, it said. 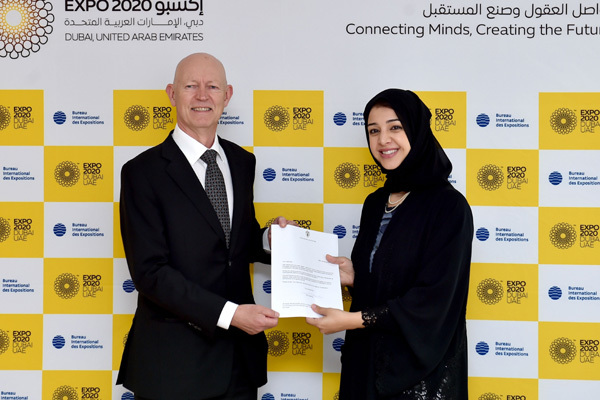 “Expo 2020 is not only a gateway to the UAE and the region, but also an opportunity to gain access to markets across Africa and South Asia that are particularly relevant for our expertise in areas including oil and gas, maritime, renewable energy and environmental technology,” Eikaas added. Norway and the UAE are already closely linked, with bilateral trade between the two countries estimated at Dh898.6 million ($244.7 million) in 2016. More than 100 Norwegian companies are based in the UAE, across industries including oil and gas, shipping, consultancy and chemicals, it added. Expo 2020 will be an opportunity for both countries to further collaborate and strengthen their relations in multiple areas of common interest including innovation, education, tourism, trade and entrepreneurship. World Expos, which date back to the 1851 Great Exhibition in London, have always celebrated the latest in innovation and technology. Expo 2020 is following that tradition, and through its Expo Live programme it is already backing projects that offer creative solutions to pressing challenges that impact people’s lives, or help preserve the world – or both. Norwegian innovators are already benefitting from Expo Live’s $100 million programme. During the first three cycles of the flagship Innovation Impact Grant Programme, 70 Expo Live Global Innovators from 42 countries were selected, with one, Desert Control, providing working examples of Expo supporting some of the innovative ideas originating from Norway. Desert Control has developed an innovative mixture of water and clay that transforms dry, sandy soil into lucrative arable land that could assist with helping to prevent a future global food crisis.